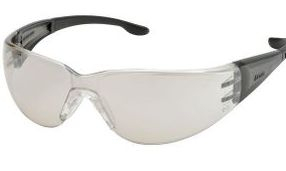 The Elvex TTS offers a close fit and excellent protection for an economical safety glass. 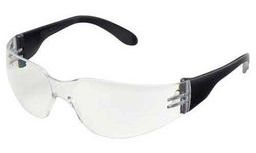 Increase protective eyewear compliance with Helium 18. 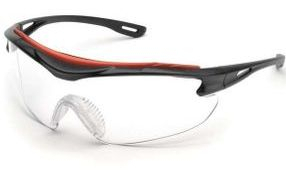 When workers who don’t want to wear eyewear protection this is the answer. Extremely Comfortable. Secure Fit. 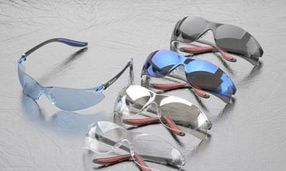 Ultra-Light Eyewear! • Weighs only 18 grams and maintains a Class 1 optics. • ErgoFit™ contour “drop” temples, follows the shape and lies flat to your head. • Fits well with hearing protectors and other PPE. 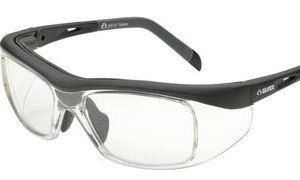 • Temples securely holds the frame in place for better non-slip compliance. • Contemporary rectangular semi-frame style looks great on all face configurations. • Ample universal nose bridge for better fit and comfort. • Available in SuperCoat™ anti-fog lens with washable coating. 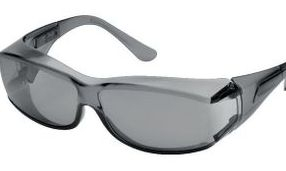 • Polycarbonate lenses absorbs 99.9% of harmful UV A, B and C, 180-380nm. • Meets ANSI Z87.1-2010+, CE EN-166. 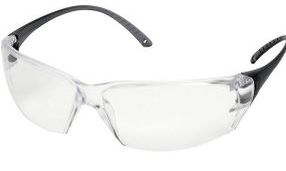 The Elvex Xenon is our Ultra Lightweight safety glass – weighing only 0.8 oz! 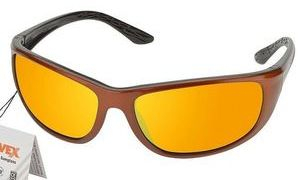 They are so light, that you forget that you are wearing safety glasses at all. Comfortable and Lightweight. 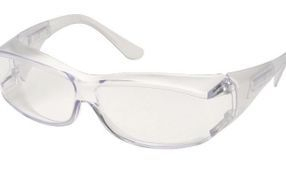 • Ultra Lightweight safety glass weighing only 0.8 oz. The New ATOM is Now Ballistic Rated with Improved Temple Tips for a Better Fit, Comfort and Performance! Weighing only 0.9 oz. The Elvex Avion is our No. 1 safety glass! Great fit with extended coverage and exceeds 4x the ANSI standard! 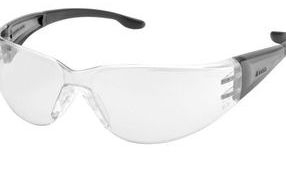 The Elvex Brow-Specs™ provides the wearer a comfortable brow guard and wraparound lens for uncompromised peripheral vision. The Brow-Specs™ sleek design, delivers extended coverage with maximum protection keeping debris and sweat away from your eyes. The XTS offers great wraparound coverage and sporty design without sacrificing comfort and protection. Plus, it’s Ballistic Vo Rated! 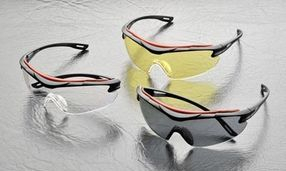 Elvex Impact Safety Sunglass Series RSG100. Bold in Style. High in Performance & Ballistic Rated Protection! • Sunglass style with wraparound lens. • Soft, black rubber temple tips for extra comfort and secure fit. • Flexible, rubber nose bridge to prevent slippage. 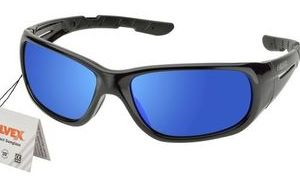 • Sky Blue Mirror, polycarbonate lenses absorbs 99.9% of harmful UV A, B and C, 180-380nm. • Ballistic rated, tested to US Military Standard MIL-PRF-31013 Impact Test. 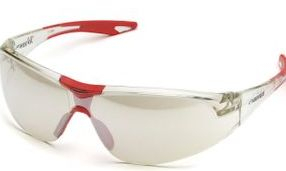 Elvex Impact Safety Sunglass Series RSG101. Bold in Style. High in Performance & Ballistic Rated Protection! 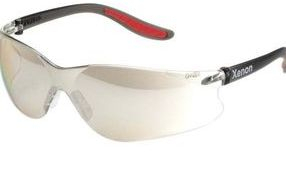 • White frame with orange rubber temple tips for extra comfort and secure fit. 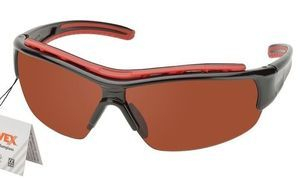 • Sky Orange Mirror, polycarbonate lenses absorbs 99.9% of harmful UV A, B and C, 180-380nm. Elvex Impact Safety Sunglass Series RSG201. 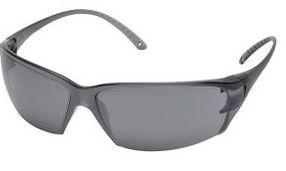 Classic Sunglass Style with Ballistic Rated Protection! • Wraparound dual lens for impact protection. 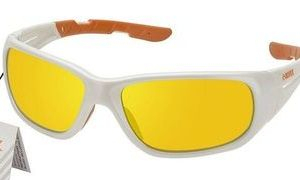 • Bold, Sky Orange Mirror lens creates that sun and sport stylish look. • Glossy Copper/Black frame with flexible temple tips. 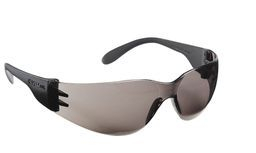 Elvex Impact Safety Sunglass Series RSG301 with Removable and Ventilated Protective Brow Guard! • Removable and ventilated protective brow guard for added protection. 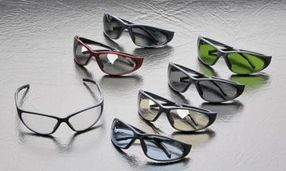 • Lens inclination for customized fit. • Soft, rubber red temple tips for extra comfort and secure fit. • Flexible, rubber nose bridge to prevent slippage with red frame. • Blue Blocker lens, reduces glare and blue light. Increases contrast and sharpens focus. OVR-Spec III is the ultimate lightweight and economical solution for plant tours and worksite visitors. • An ultra-lightweight weighing in at only 1 ounce (32 grams), OVR/over specs! 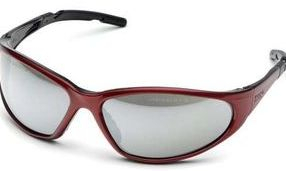 • Easily fits over most medium sized prescription eyewear (up to 144 mm). 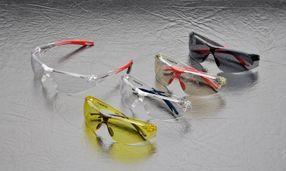 • Adjustable length drop temples “hook’ behind the ears prevents slipping during work activity for added protection. • The unique frame design maintains a space between expensive prescription and safety lenses preventing rubbing and scratching.